Promoflix is a small and flexible Lancashire based video production company specialising in affordable yet high quality promotional videos and films for both corporate and entertainment industries. Whether interview based documentary style films or music driven promotional videos and music videos we aim for collaborative, creative, quality productions to meet your objectives and help you communicate your message. 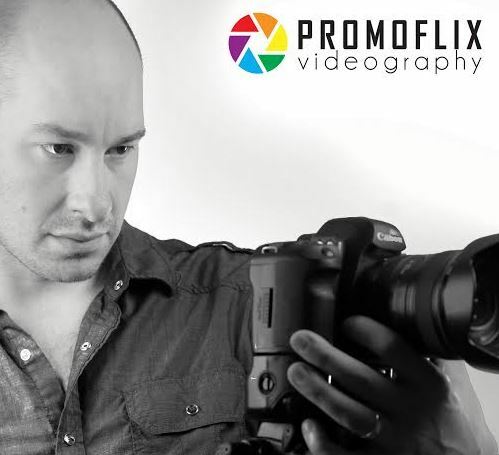 Promoflix is centered around Daniel Wingate, a professional videographer with over 11 years experience in the field of Sound and Video and a passion for film making. A Member of the Institute of Videography (IOV), Daniel’s background is as a musician, particularly performance around the country with popular band The Deadbeats. The small size of this video production company can create a versatile and flexible working relationship with clients. We are fully insured for public liability and professional indemnity.